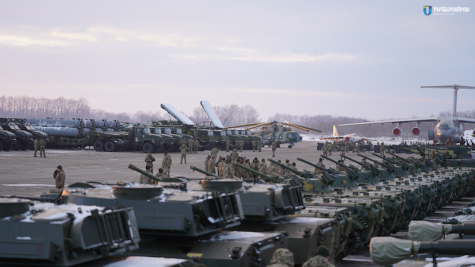 During the whole time of the Russian military aggression against Ukraine, Ukroboronprom's enterprises transferred 25,800 weapons and military equipment to the Armed Forces and other security forces, including refurbished, upgraded and new-production equipment. First Deputy Director-General of the State Enterprise Ukroboronprom Sergey Omelchenko announced this on the "Direct" television channel on Jan. 11. "During these difficult years, quality Armed Forces have been created; the production volume of weapons has been increased, others are being modernized and repaired, and new equipment has been developed which did not exist in Ukraine before, and which were not in service with the Soviet Union," Sergey Omelchenko said, stressing that it is precisely thanks to these Ukrainian weapons that aggressors have been restrained for more than four years. 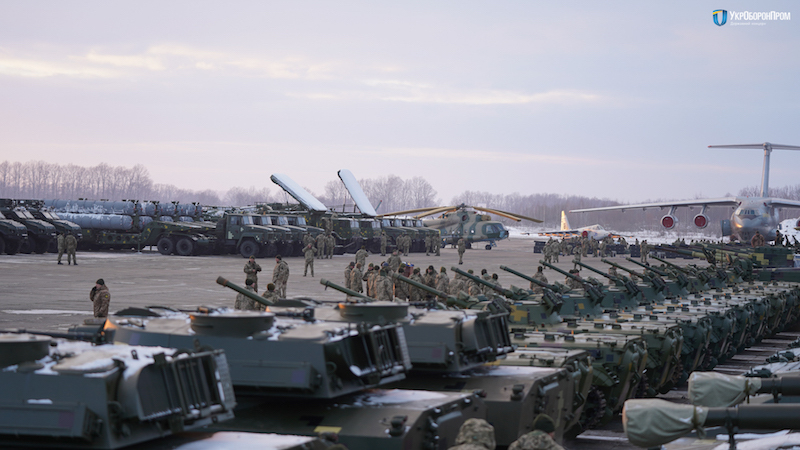 As Sergey Omelchenko stressed, the Ukrainian defense industry is in a better position than in all the years since independence, and Ukraine is not just a consumer of foreign technology. "Ukraine has had a fairly good base, which managed to keep up and develop in the best condition during these turbulent years. Ukraine is not just a consumer of foreign technology, but it has to offer other our international partners in terms of weapons and technologies, because Ukrainian enterprises produce weapons that are being sold. in more than 100 countries of the world," Omelchenko said. At the same time, he noted the need to upgrade equipment and production facilities of defense enterprises, which will strengthen our country's ability to create the latest high-tech weapons that will meet the highest standards of quality. According to Omelchenko, Ukroboronprom at present is concentrating on its reconstruction to increase the effectiveness of the resources invested and the potential of its enterprises, optimizing the process of manufacturing weapons. "The state concern has more than 100 enterprises that produce weapons and military equipment. The concern built its own cluster management system - clusters are grouped by special weapons manufacturing units, with a cluster for armor, for precision guided weapons, for special equipment and radio systems, and for shipbuilding. Directions for coordinate the work of the respective enterprises, and thus we upgrade the enterprises to allow more efficient use of resources," Sergey Omelchenko said. In addition, in 2018, Ukroboronprom introduced procurement through a single electronic platform and made important steps to create a transparent property sales system. "Fully translated purchases of our enterprises into open electronic platforms, and more than 43 thousand tenders were made through electronic systems during 2018. This allows both cost savings in purchasing components and getting rid of unfair competition, which further reduces the possibility of abuse - is the sale of company property and enterprises in the ProZorro-Svodzhi system. This electronic platform is exactly for this purpose, and already there were the first tenders, which showed that thanks to the electronic platform we managed to increase revenues from property sales by 16%. “The project was launched only in late November 2018, I think this year's performance will be even better," Omelchenko said. The Ukroboronprom manager emphasized that, today, our nation is one of the leaders in the field of military transport aircraft production, and aircraft from DP Antonov are in demand all over the world. In addition, the existing military transport fleet is actively involved in the transportation of NATO troops. Companies of Ukroboronprom’s aviation cluster also provide high-quality repair and modernization of military combat aircraft - fighter jets, bombers, helicopters. The Deputy Director General also noted that Ukraine had approached the creation of An-124 "Ruslan" aircraft without any component of Russian production. "We are actively cooperating in this direction with several international companies producing aviation technology. We are now at the final stage of completely reorganizing the whole electronic component of this transport aircraft. We hope that it will be finally adopted by the engineering and design group of Antonov this year, in order to start the assembly of the first aircraft which will not have any Russian component," Omelchenko said. In addition, Ukraine has something to be proud of in the field of high-precision weapons. For example, the 152mm "Flower Garden" high-precision artillery projectile can hit a target the size of an A4 sheet of paper at a distance of 20 kilometers. This is also true of the portable anti-tank missile systems, from the Luch, Stugn-P to the Corsar, hundreds of which have now been delivered to Ukrainian troops. Among the breakthroughs of 2018 there is also the Neptune cruise missile, capable of destroying targets at a distance of 280 km, as was proved in a recent test. Answering the audience's questions, Sergey Omelchenko said that Ukroboronprom’s shipbuilding enterprises are ready to complete a corvette for the Naval Forces of Ukraine, which was laid down on a shipyard that was not part of the Ukroboronprom Concern, and which is currently bankrupt. "The State Concern and our companies have already developed a plan for the completion of this corvette, and now the Cabinet is considering which company, and on what model, will complete this corvette, based on the requirements of the Naval Forces of Ukraine. After that decision, Ukroboronprom is ready to begin work," he said. "In fact, it is better from all points of view to produce our weapons, and Ukraine has the ability to produce its own weapons in all areas of military technology. The restoration of the defense industry has made it possible to develop weapons that are of interest to the United States, in particular our radar systems, warning systems, and missile are in no way inferior," Sergey Omelchenko concluded.